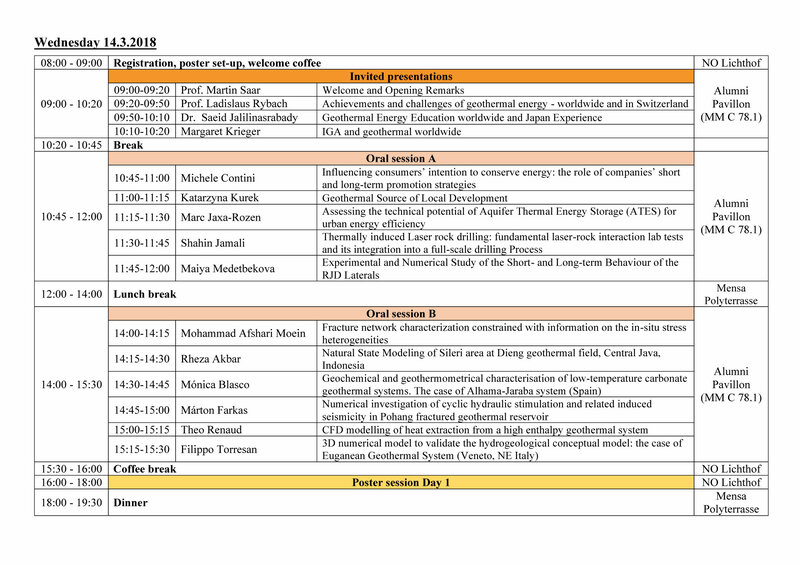 A schedule of talks, posters and breaks will be published at a later stage. 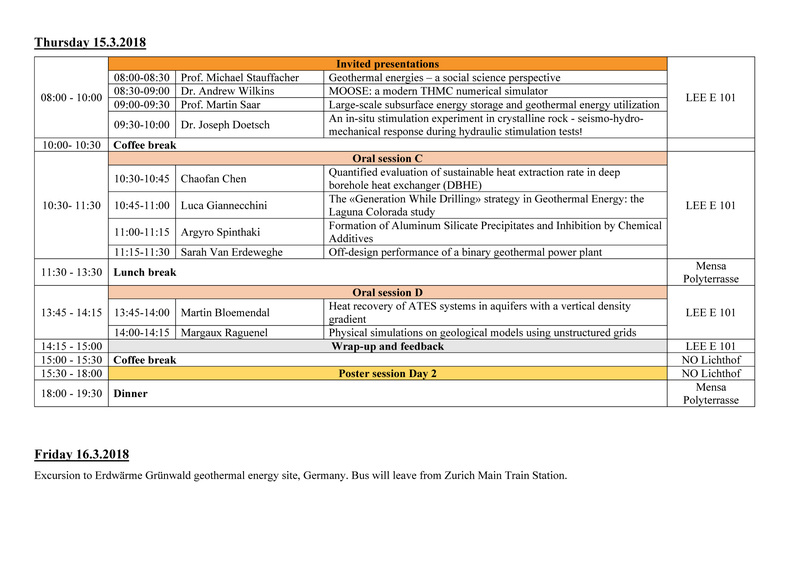 The three-day event includes oral presentations and poster sessions, during the first two days, and an off-campus excursion to a geothermal energy-related site on the last day. We invite contributions covering all aspects of Geothermal Energy, including Resource Assessment and Exploration, Well Construction, Reservoir Engineering and Modeling, Operation, Sustainability, Social Acceptance and many more.